Pragati International is a Manufacturers and Exporters Leather Goods in Mumbai India. We manufacture Leather Goods Like Leather wallets, Leather Organisers, Leather Folders, Leather Office Bags, Leather Hand Bags, Leather Travel Accessories, Leather Belts, Leather Credit Cardholder, Keyfobs, Leather Gents Footwear, Leather Ladies Footwear, Leather Briefcase, Leather Passport pouch. We have Different Variety of Goods. We export it to Different Countries around the World. We also offer these Leather Goods in different, sizes and designs as per lively colors the demands of our valued clients. 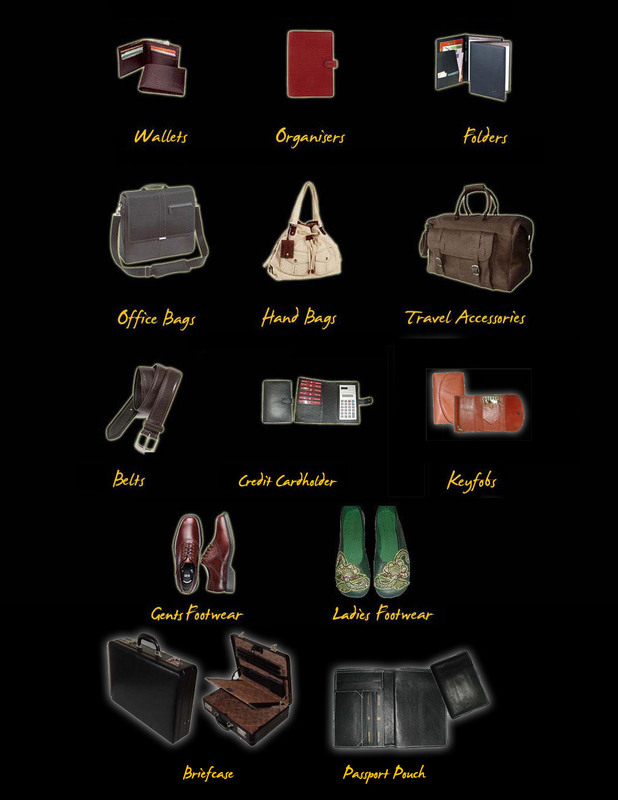 We Provide Best Manufactured Leather Goods in Mumbai. We have Variety Of Leather Goods, Leather wallets, Leather Organisers, Leather Folders, Leather Office Bags, Leather Hand Bags, Leather Travel Accessories, Leather Belts, Leather Credit Cardholder, Keyfobs, Leather Gents Footwear, Leather Ladies Footwear, Leather Briefcase, Leather Passport pouch. Our Designs are Latest and Trendy Designes that you will Love to Buy.